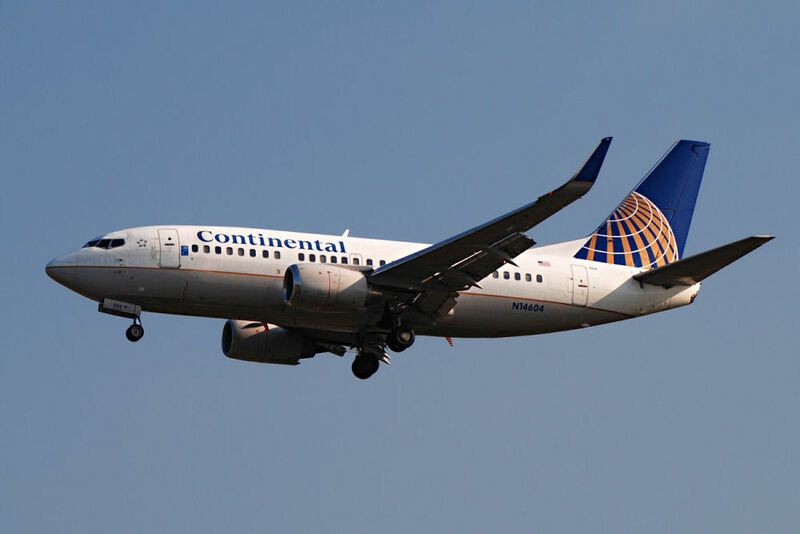 Located 23 miles north of downtown Houston and opened in 1969, George Bush Intercontinental Airport [IAH] is the major international gateway serving the city, as well as the largest domestic hub for United Airlines. 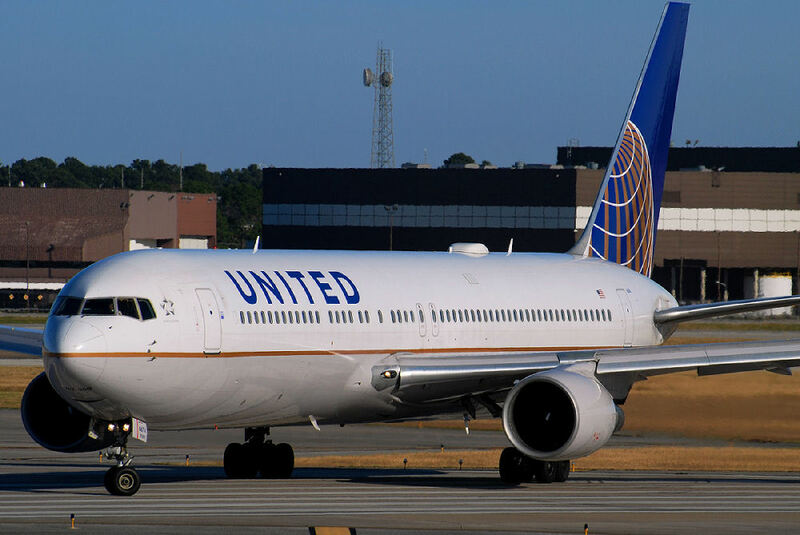 Houston-IAH is also the second largest airport in Texas, behind Dallas-Fort Worth International Airport, with approximately 21 million passenger boardings in 2015. 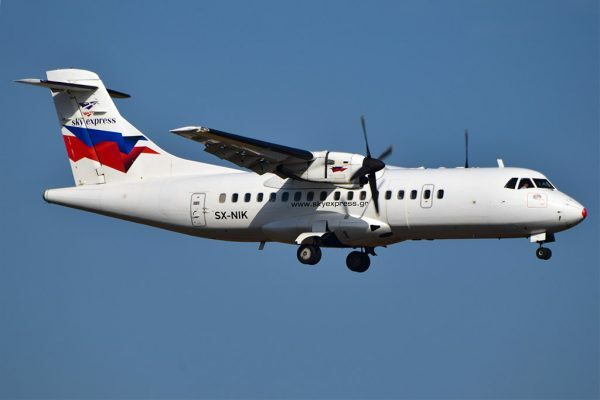 The same year there were 486,000 commercial airline, 4,400 cargo and 11,600 general aviation operations. 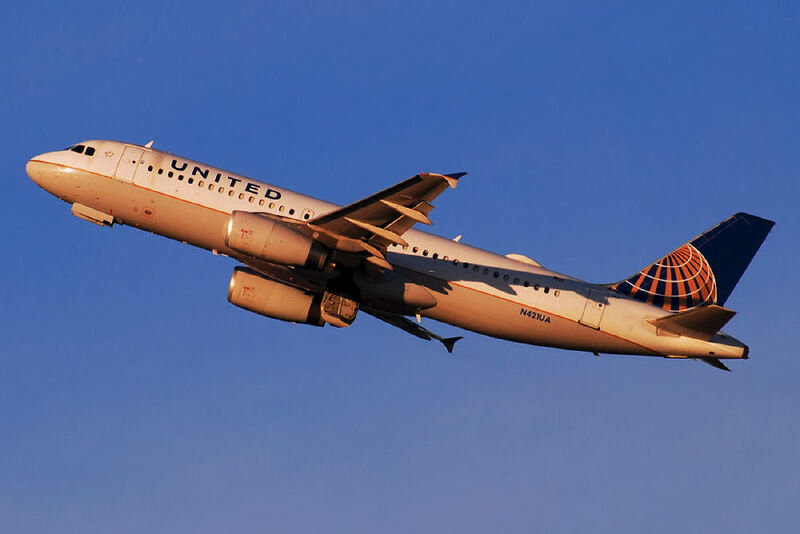 United Airlines has an overwhelming share of total traffic with domestic arrivals and departures on Airbus A319, A320 and Boeing 737, 757, 767, 777 and 787 aircraft. 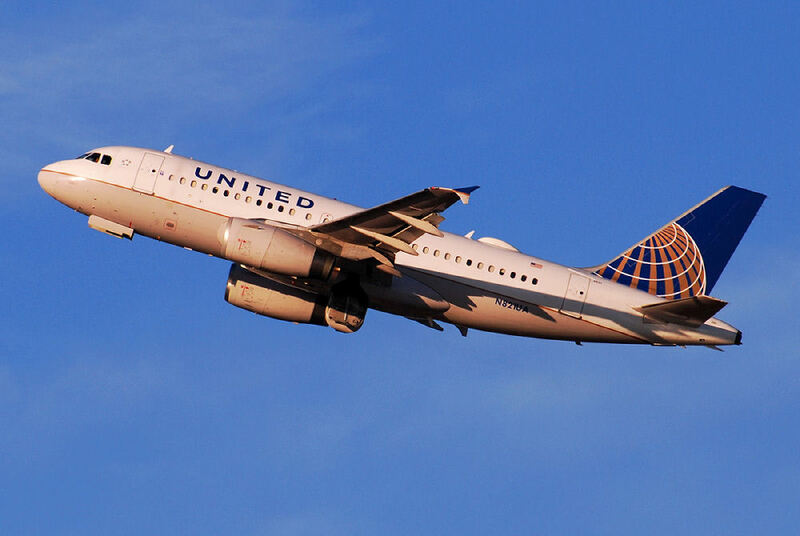 United also flies from Houston to Tokyo and Sydney, Australia, plus four European, nine South American and many more destinations throughout Canada, Mexico and Central America. 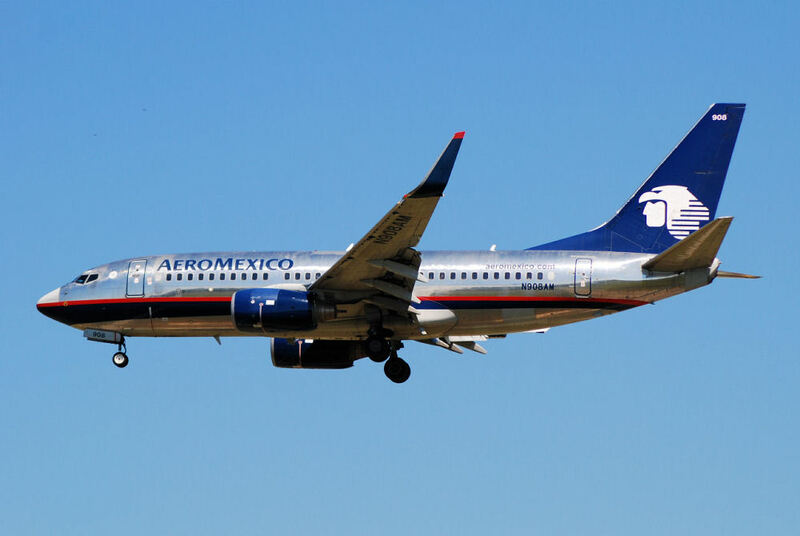 International traffic has grown steadily over the years, and now includes Aeroméxico (E-170/E-190), Air China (777-300ER), Air France (A330 winter/777 summer), Air New Zealand (787-9), All Nippon Airways (777-300ER), TACA/Avianca El Salvador (E-190/A319/A320), 2x daily British Airways (777), Emirates (777-300ER), EVA Airways (777-300ER), Interjet (A320), KLM (747-400), Lufthansa (A380), Qatar Airways (777-200LR), Singapore Airlines (A350), Turkish Airlines (777-300ER), VivaAerobus (A320), Volaris (A320) and WestJet (737). 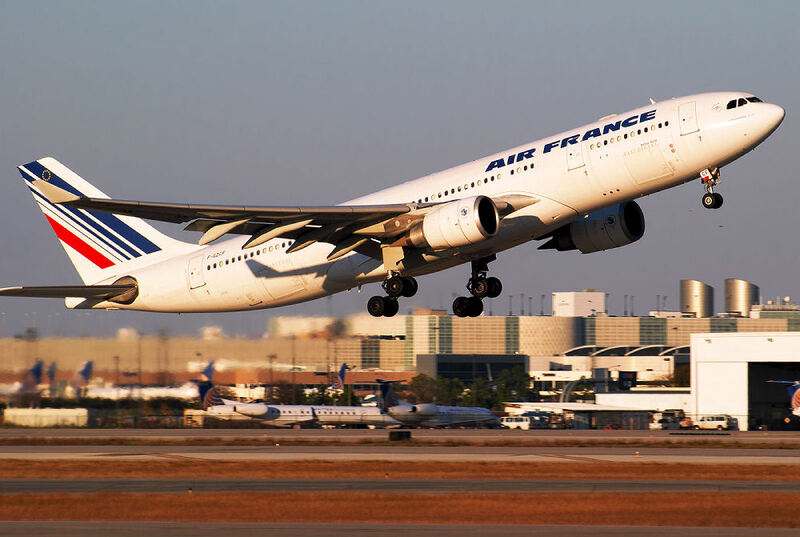 Cargo visitors at the airport include Air France Cargo, Atlas Air (including Amazon Prime Air), CargoLogicAir, Cargolux, Cathay Pacific Cargo, China Airlines Cargo, FedEx, Emirates SkyCargo, Lufthansa Cargo, Qatar Cargo, UPS and even Volga-Dnepr. 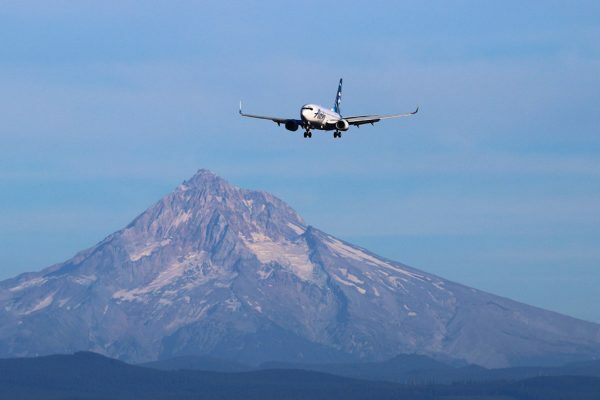 Alaska Airlines, American, Delta and Frontier provide multiple daily services to their respective hubs, while low-cost carrier Spirit flies to a growing number of destinations. www.Houstonspotters.net is an excellent resource providing detailed information about IAH as well as other Houston-area airports, including William P. Hobby and Ellington Field. Season Summer (May-September) is usually hot and unpleasant, particularly during midday. However, it is rarely that cold in Houston, so the period from September through May is ideal, including the winter months of January and February. Humidity is less of a problem during the winter, but heat haze can occur at any time. 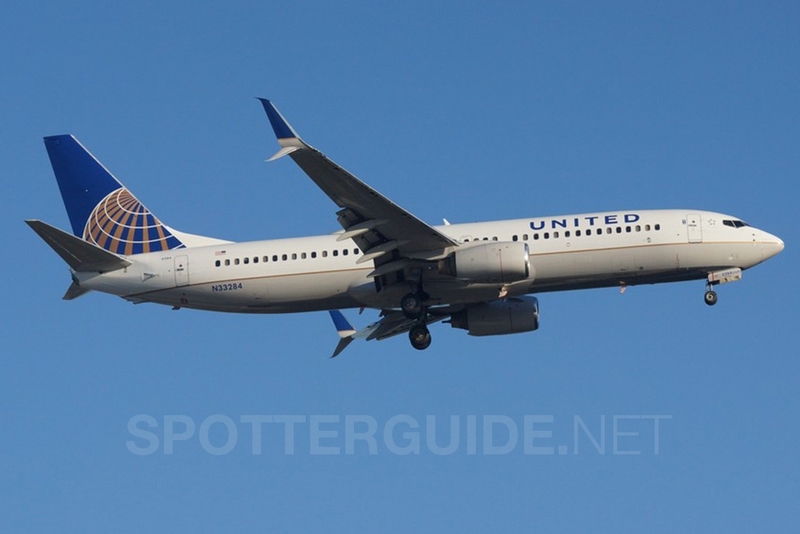 Although there are two official spotting locations at George Bush Intercontinental Airport (Spots #1 and #2), you should call Houston Airport System’s (HAS) Operations phone number of (281) 230-1300 if you plan to spot elsewhere. It is a good idea to call in from spot #2 as well. 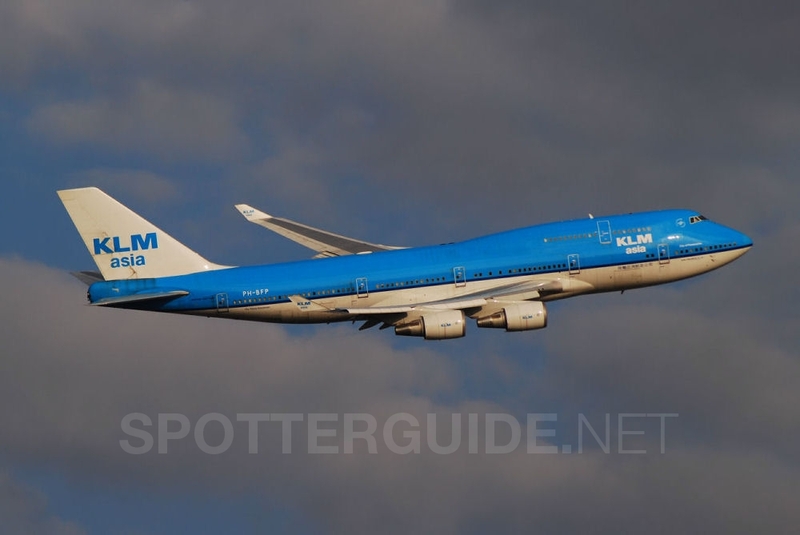 Identify yourself as an airplane spotter, and Operations personnel will record your name, contact telephone number, vehicle make/model and license plate number, location where you will be taking photos, and the length of time you plan to remain there. These personnel are familiar with local spotters. However, there have been rare instances where spotters are still approached by field officers of the same Operations department or even Houston police, so it is suggested to make note of the person’s name with whom you spoke.SPOT #2 (Rankin Road) HAS BEEN CLOSED INDEFINITELY, WITH BARRIERS PLACED ACROSS THE ROAD BY THE AIRPORT AUTHORITY. REGRETTABLY, THIS LOCATION IS NO LONGER ACCESSIBLE. Runway Usage 15L/33R This runway is used in tandem with parallel Runway 15R-33L, both almost exclusively for departures. During the more common “west flow” airport configuration, departures are to the southeast via Runway 15L and 15R. 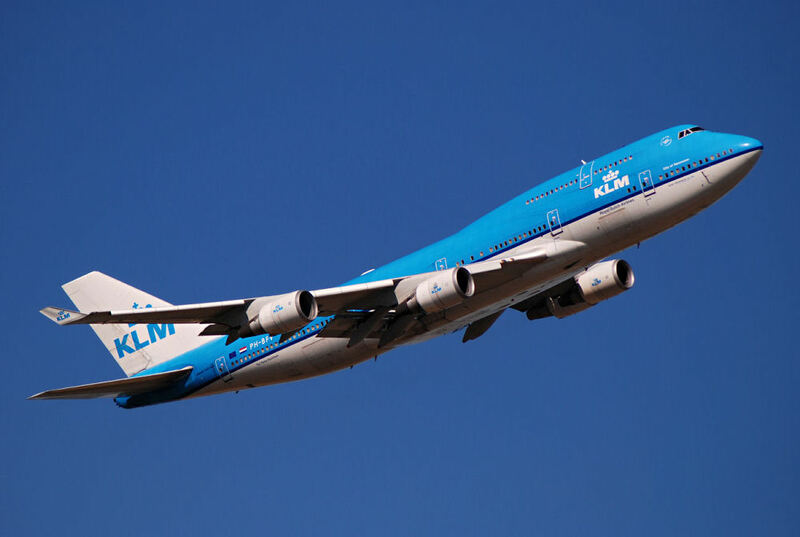 As runway 15L-33R is both longer and located closer to the airport terminals, it is preferred and, with extraordinarily limited exceptions, is used for all A380 departures. Runways 33R/33L are used when the wind is out of the north; this tends to happen more frequently during the winter months. However, use of the 33s tends to be avoided unless necessitated by winds, since either runway requires a longer taxi for departing aircraft. Landings on 15L are rare, and those aircraft that do land on this runway are exclusively business jets. Use of the reciprocal 33R for landings is even less common. 15R/33L This runway is used in tandem with parallel Runway 15L-33R, almost exclusively for departures as noted above. Runway 15R-33L is both shorter and located further from the terminals than 15L/33R, but it is favored by spotters due to its closer proximity to Spot #2 along the western airport boundary. There are excellent views of aircraft departing in either direction. While the majority of departing traffic favors Runway 15L-33R, widebodies do occasionally use 15R-33L, particularly at high-traffic times. 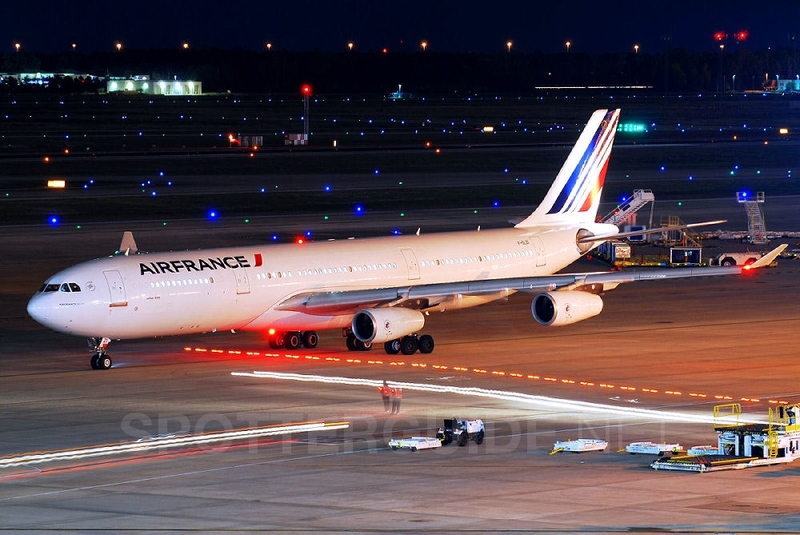 One should not expect to see the A380 depart this runway, although it has been observed using both 15R and 33L. Runway 33L is used with parallel Runway 33R when north winds preclude departure operations to the southeast. Due to the Landmark Aviation facility on the western airport boundary next to Runway 15R/33L, business jets sometimes land on 15R. 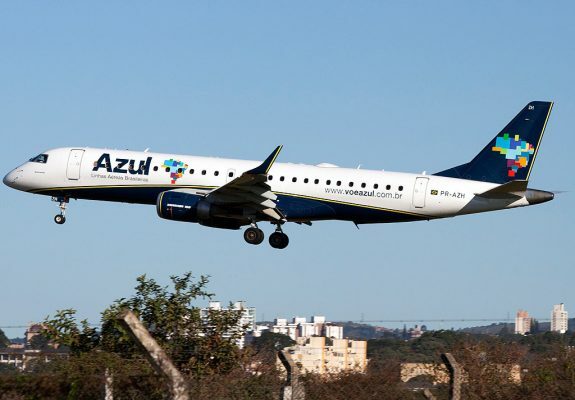 When doing so, they follow the Runway 8R approach and bank right at the last moment to align with Runway 15R, typically exiting the runway before reaching Spot #2. 9/27 Runway 9-27 was opened in 1989 and lies south and east of the main terminal complex. Its most common use is as an arrival runway when aircraft land toward the west (Runway 27). 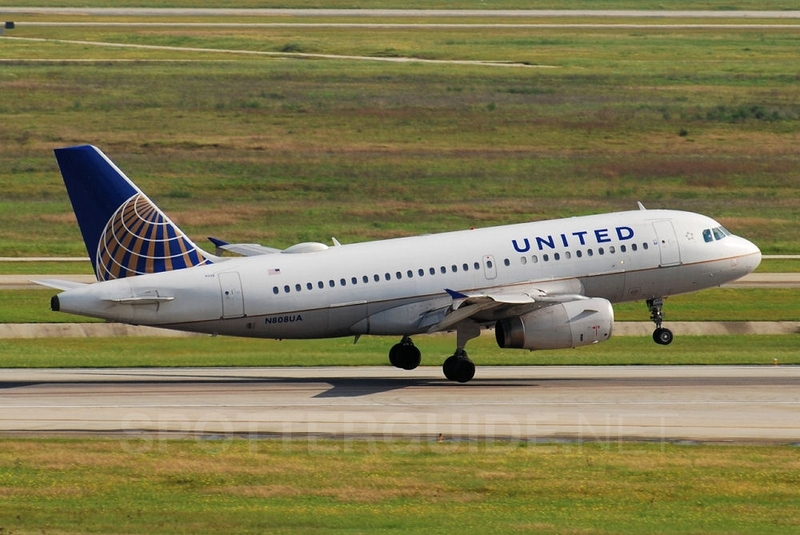 United and many other domestic and international carriers (particularly European) use this runway. 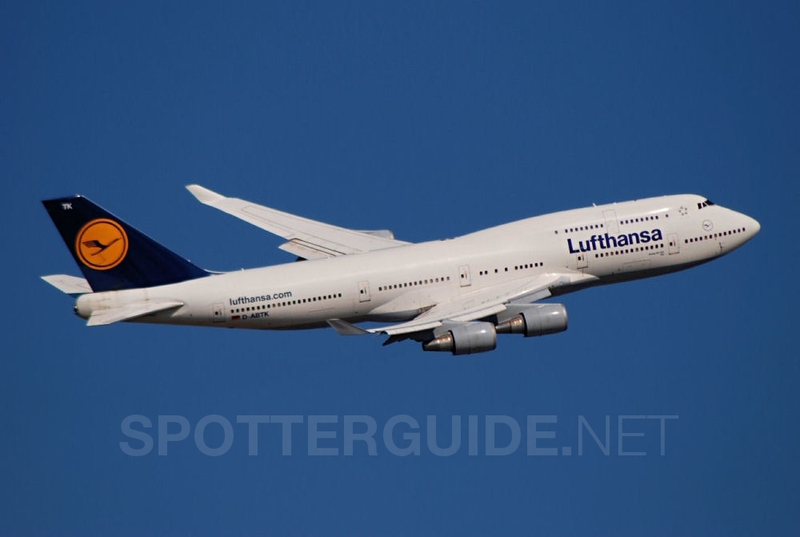 Exceptions are A380 operators (Emirates and Lufthansa), which will NOT arrive on 27 due to wingspan limitations crossing the bridge upon exiting the runway toward the terminal complex. 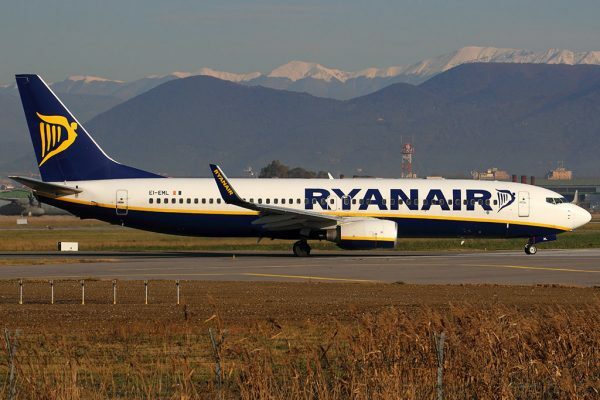 These airlines arrive 8R-26L and 8L-26R only. In the opposite direction, air traffic control employs Runway 9 for departures during “east flow,” when arrivals land on 8R and 8L. When this configuration is in use, departures are split between Runways 15L and 15R on the west side of the terminal complex and 9 immediately to the south of it. This arrangement makes it impossible to predict where a specific departure will be sent. 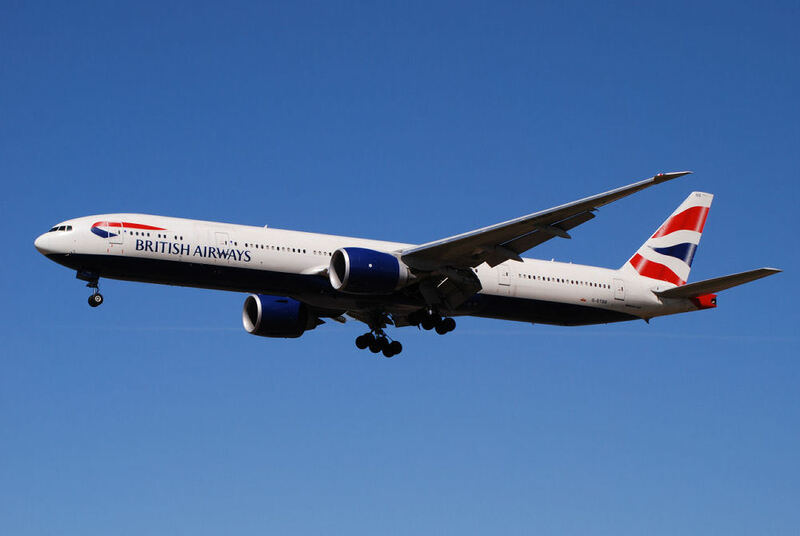 Less common are landings on Runway 9 and departures from Runway 27, although both occur under certain conditions. 08R/26L This runway runs immediately to the north of the IAH terminal complex, and is used for landings in either direction. Touchdown photos can be made regardless of whether 8R or 26L is in use; one simply stands on the appropriate end of the terminal complex roof, facing north. This is best thought of as an arrival runway for all operators (including A380), although cargo departures do occur from Runway 26L, particularly at night during low traffic periods. This is because the threshold of 26L is quite close to the East Cargo complex. 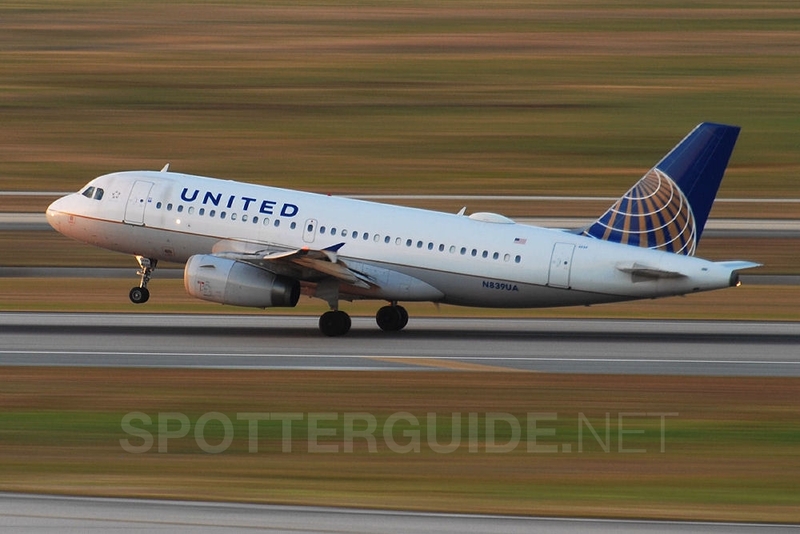 On rare occasions, United and other mainline and regional carriers use Runway 26L for departures. 08L/26R This is George Bush Intercontinental Airport’s newest and shortest runway, opened in 2003. 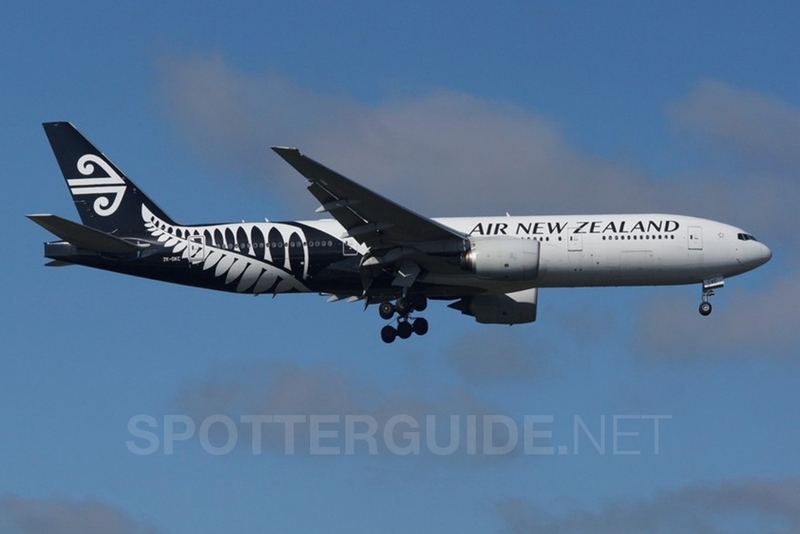 It lies 1,500 meters (5,000 ft.) to the north of Runway 8R-26L, and is likewise used for arrivals in either direction. During “west flow,” arriving traffic is split between Runways 27, 26L and 26R, while during “east flow” all arrivals are sequenced to either 8R or 8L. 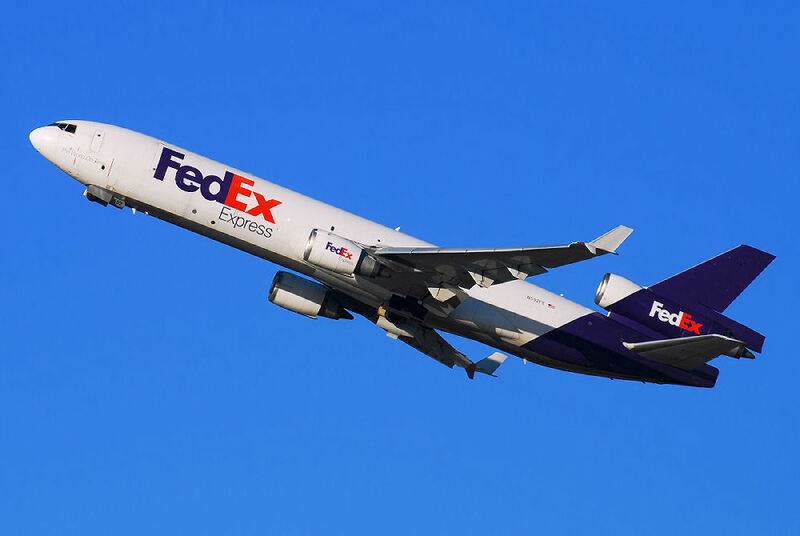 As with Runway 26L, cargo and certain high profile visitors parked at the East Cargo Complex may favor Runway 26R for departures when traffic volume permits. This is not an easily accessible runway for which to spot movements, and there are no locations where one can remain for an extended period. 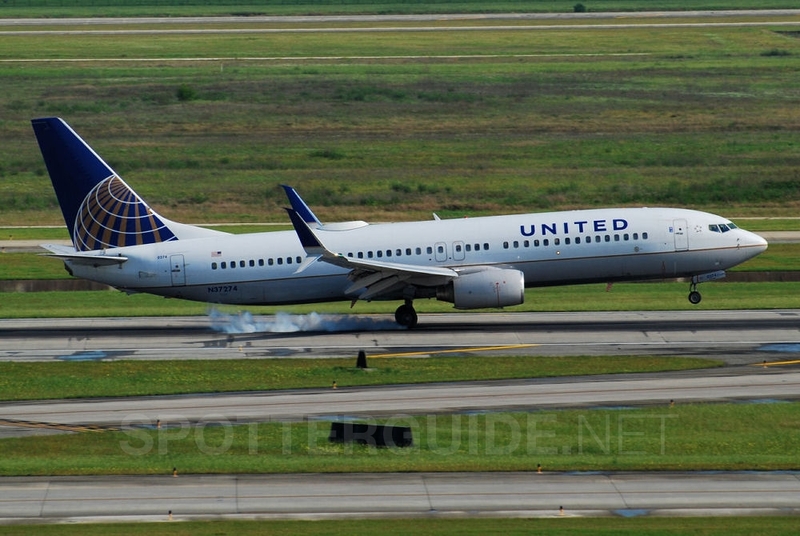 WHERE This is IAH’s best publicized spotting location, located on the east side of Lee Road, about 450 meters (0.28 mi.) south of Will Clayton Parkway. Park in the gravel lot, located just north of the approach path to Runway 27. As photos from the parking lot itself are backlit most of the day, it may be advisable to walk about 300 meters (0.2 mi.) south on Lee Road to the other side of the ILS array, standing on either side of the road where a 747 or 777-300ER is far enough away to fit within your viewfinder. WHAT Many domestic arrivals will use this runway, plus a good selection of international arrivals excepting the A380. Planes pass over Lee Road at about 200 feet, so this is excellent for side-on or slightly front/rear-offset photos of arrivals, depending on the position of the sun. The tall chain-link airport security fence precludes touchdown shots, and the planes will be too far away at this point anyway. TIME Great location for the entire day. Standing south of the approach path is preferred, but one has the option to walk along Lee Road in either direction if the sun has swung past due west, as occurs during long summer days. MISC. A portable bathroom is located in the gravel parking lot, but no other facilities are available. There is a Burger King fast food restaurant connected to a Shell gas station on the north side of Will Clayton Parkway, less than a five-minute drive from the parking lot. Food, snacks and drinks can be purchased there. No shade is available anywhere at this location, so wear sun protection. You may also wish to bring a folding chair to set up either in the parking lot or elsewhere along Lee Road. 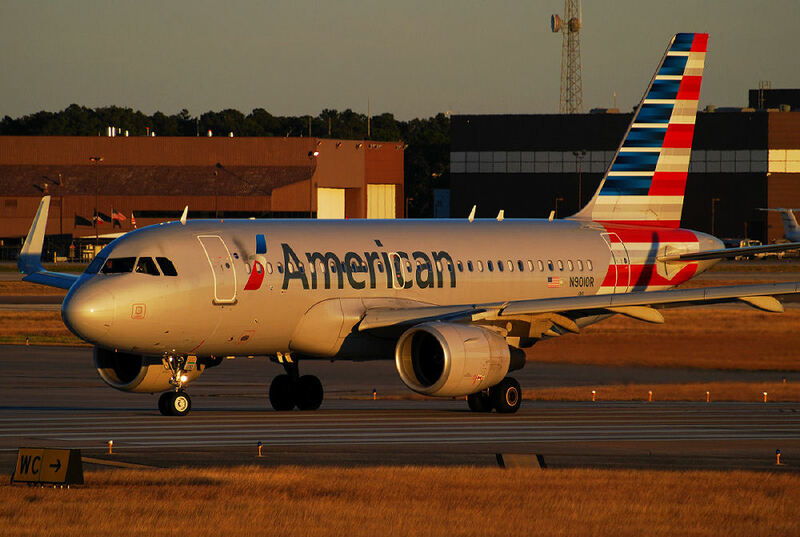 Although the parking lot is a public spot, you may opt to call in to Airport Operations at (281) 230-1300, particularly if you will be sitting elsewhere along the road. WHAT This is the other “official” spotting location, reopened in late 2013. 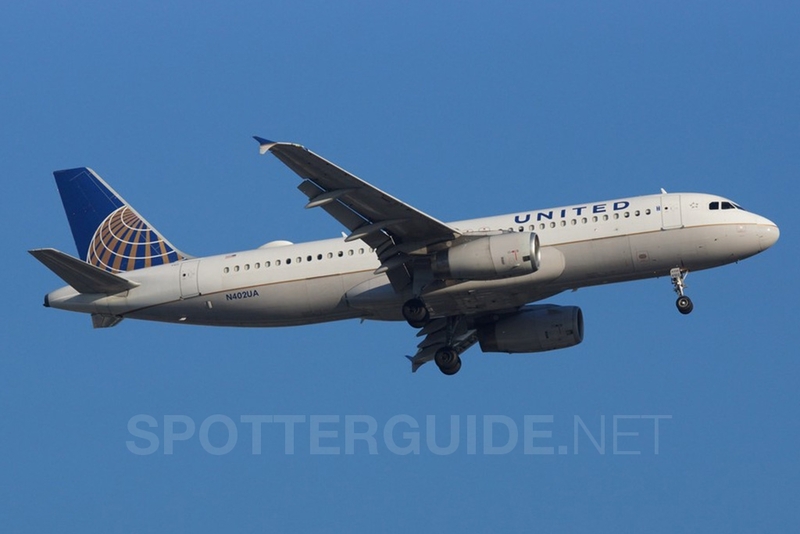 It is the best place to photograph departures at George Bush Intercontinental Airport, and the vantage point and calm environment make this the prime location for most local spotters. During “west flow” days, you will be able to photograph every departure from here. 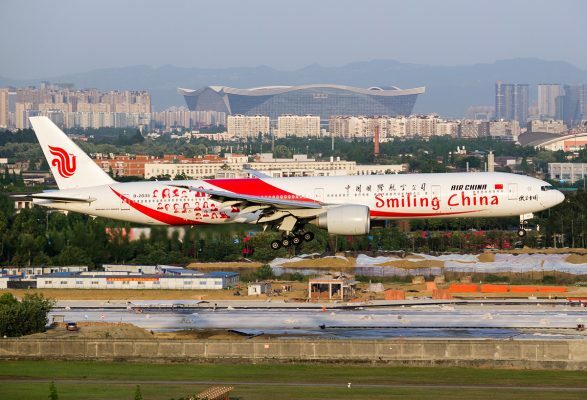 Photos of 15L departures will have the terminal complex, control tower or hangars in the background, depending on where aircraft become airborne as they approach at an oblique angle. 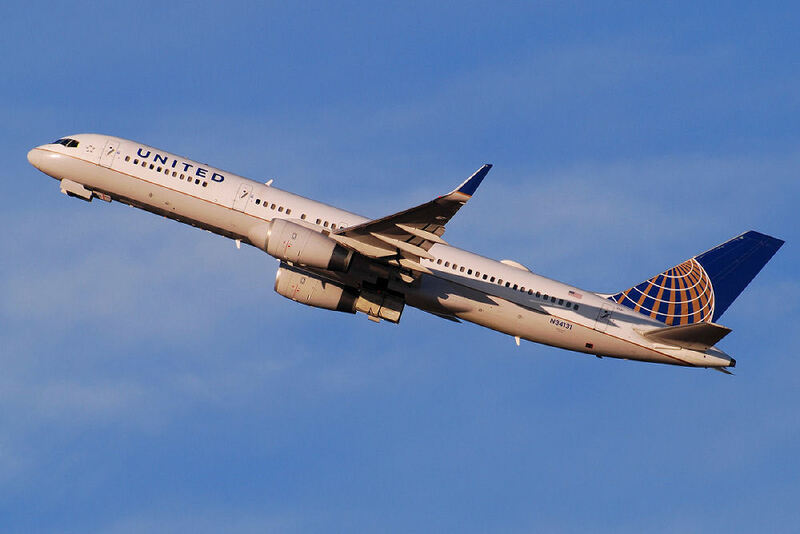 Some heavy international departures and United’s Boeing 737-800s and 737-900s tend to roll long and will only climb above the treeline in the background once they are parallel to you. Runway 15R departures are even more impressive, since it feels as if you can almost touch the departing airplanes as they pass by. Lineups on 33L occur directly in front of you. 33R departures start much further away to the south, and there will be trees and hangars behind the airplanes as they roll for takeoff. Heat haze is common and can impact 33R departure shots. TIME Since you are facing east/northeast here, this is only a good location from early afternoon on. It becomes even better as the sun starts to set behind you in late afternoon and evening. Outstanding photos can be made until dusk and beyond, depending on your skill and equipment. MISC. There are no restroom facilities here. Snacks and drinks are available from the Shell gas station 1.8 miles away at the corner of Greens Road and Aldine Westfield Road, or you can find other food options 4 miles to the north along FM-1960. While a few lone trees block your view of the parallel 15/33 runways, there is no shade here, so bring sun protection. In the evening, mosquitos can be a nuisance, becoming vicious around nightfall, so carry appropriate spray. It is recommended that you notify Airport Operations of your presence at (281) 230-1300, even though this is a “public” spot. WHERE From Spot #2, follow Rankin Road back out to the traffic light at Aldine Westfield Road and turn left. Make another left onto Greens Road at the traffic light by the Shell gas station. Continue down Greens Road until reaching the traffic light at JFK Boulevard. Turn left at the traffic light here, toward the airport terminals. 300 meters (1,000 ft.) after making the left turn onto JFK Boulevard, bear right onto the first exit for the “JFK Blvd Service Road.” Follow the service road northward for 0.8 miles until you arrive at the stop sign, which is the intersection with Rankin Road (on the opposite side of the 15-33 runway complex from Spot #2). Proceed straight through the stop sign and turn into the paved parking area on the right. 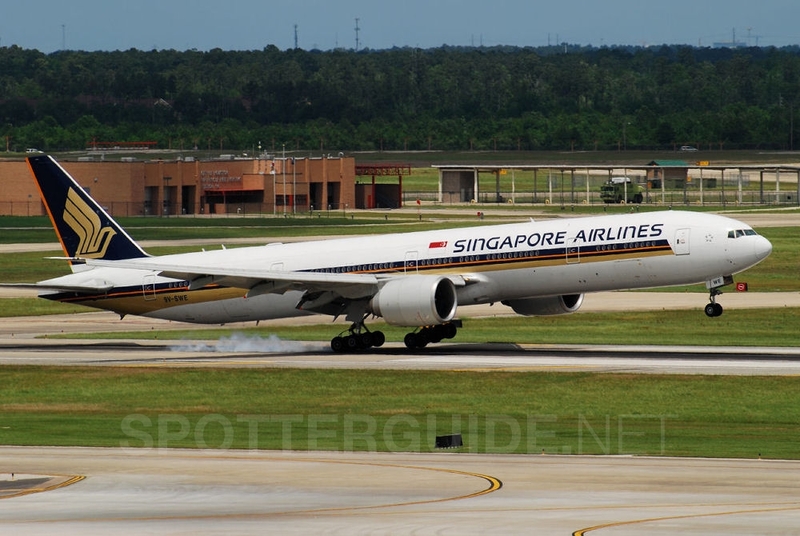 WHAT Here you are on the opposite side of Runway 15L-33R and 15R-33L as Spot #2. Under “west flow” configuration, you will see all the departures from the airport, but since the cell phone lot is a little further away from the runways, only 15L departures will be close enough to photograph well. 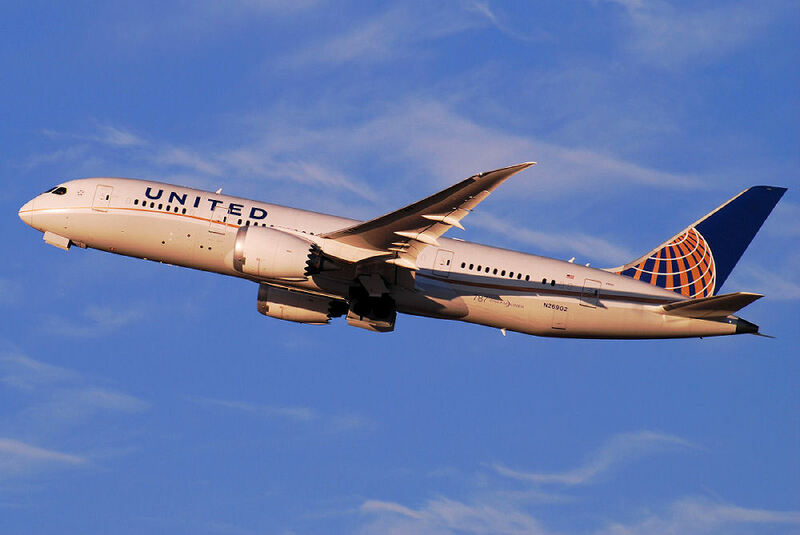 Since light favors this location in the mornings, you will photograph morning domestic departures, which include some United Boeing 787 positioning flights. 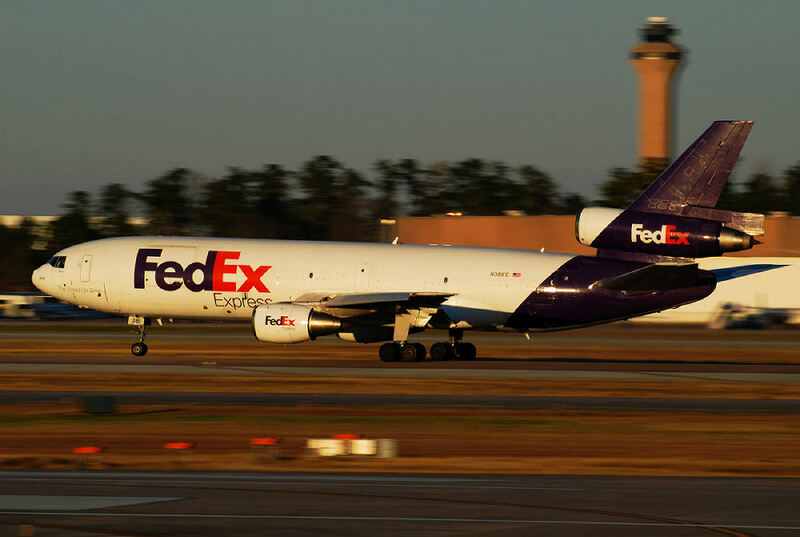 You will also get some FedEx and occasionally UPS departures, if you arrive early enough. 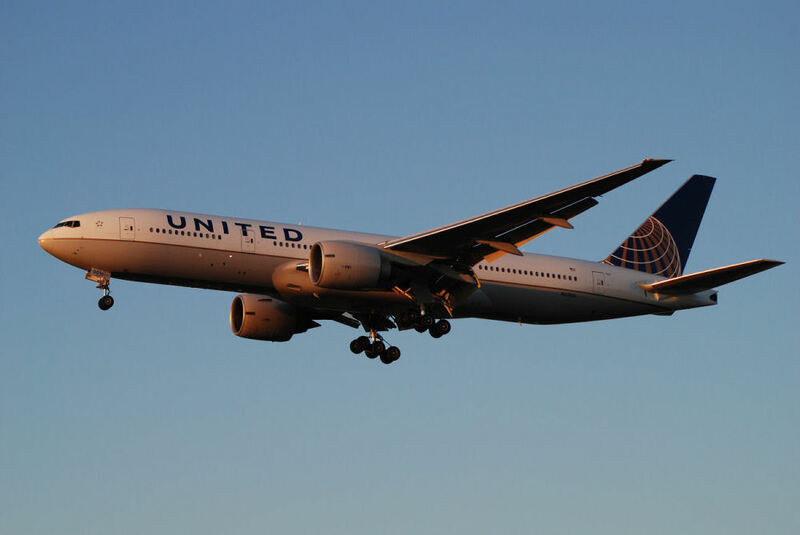 Later in the morning is the United daily flight to Honolulu aboard a 777, plus Korean Air, All Nippon Airways and another United 777 which flies daily to Tokyo. TIME This location provides excellent light for departing aircraft from sunrise until late morning. As the sun rises and moves overhead, the advantage diminishes, and eventually you may wish to relocate to Spot #2 where you can spend the rest of the day. MISC. This is a public facility so calling Airport Operations is not necessary, but you may do so at your discretion. Portable restroom facilities are located at the back of the lot. Picnic tables are provided, and tall trees behind you to the east will give shade all morning. At this location the main lanes of JFK Boulevard cross a bridge over Rankin Road; therefore the road and associated landscaping/lighting infrastructure is raised into your line of sight. 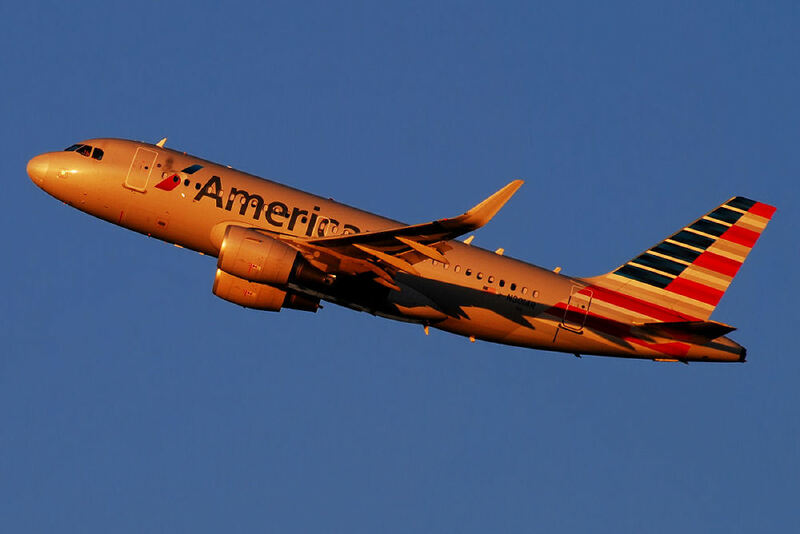 Your ability to photograph the airplanes without any obstacles in your frame is subject to how soon the aircraft rotate off Runway 15L and climb above the trees and light poles. WHERE From Spot #1, head south on Lee Road, making a right turn on Greens Road at the traffic light. Continue through the major intersection with JFK Boulevard, and proceed for 1,400 meters (0.8 mi.). Around this area, you will see Morales Road on your left, 100 meters (330 ft.) past which is a vacant property. Here you may pull off the left side of Greens Road and park. You can take photographs standing next to your car, but power lines on the north side of Greens Road will be in your way. You will likely prefer to cross Greens Road and go a little way down the steep hill on its far side, which opens into a wide grassy drainage ravine. 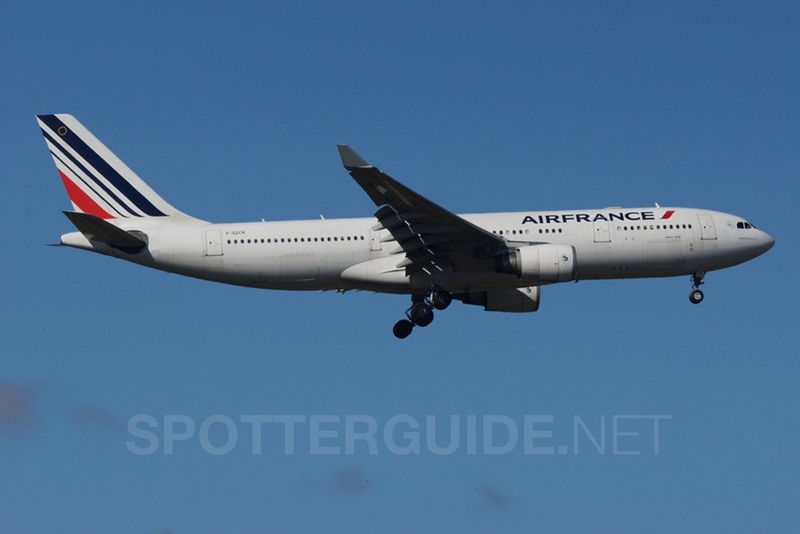 WHAT Spot #2 is overall superior for Runway 15L/15R departure photos, but from Spot #4 you will be able to take photos as widebodies begin their turns after departing Runway 15L. 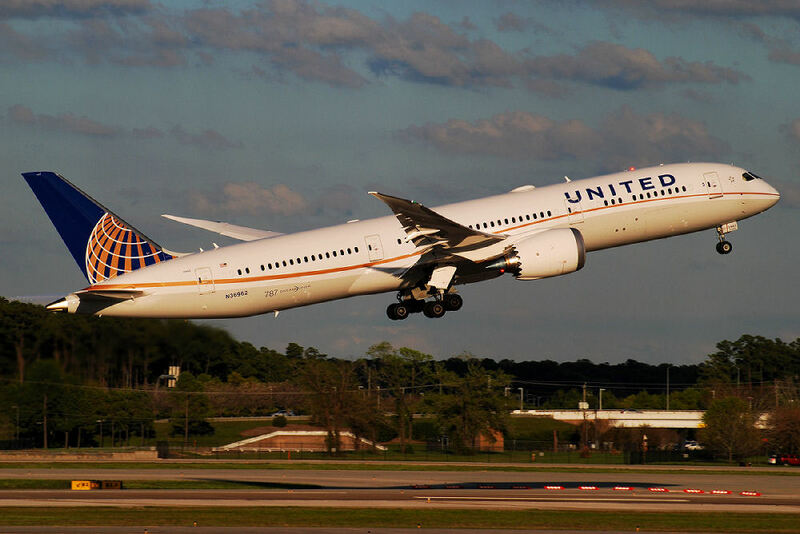 Often the tower assigns them a right turn onto a heading of 020 degrees after departure, which requires a 230-degree banking maneuver usually beginning as they appear over the trees with landing gear still retracting. Most narrowbodies will be a bit high here and are better photographed from Spot #2. TIME Like Spot #2, this is a good location from early afternoon on. 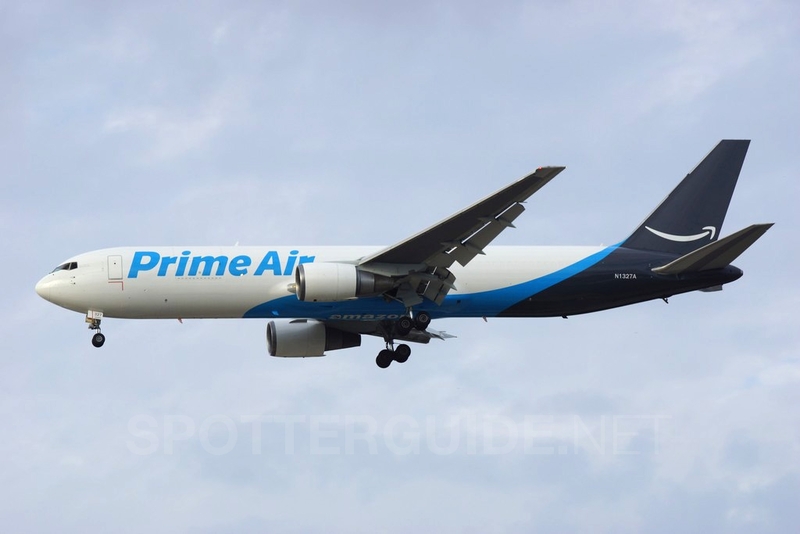 It’s simply a bit further along the departure path from the 15L/15R runways and you cannot physically see the airplanes until they appear from behind the tree line. MISC. IT IS RECOMMENDED YOU CONTACT AIRPORT OPERATIONS AT (281) 230-1300 TO ADVISE YOU WILL BE SPOTTING HERE. Use Morales Road as a reference with regard to your position along Greens Road. There are no facilities here, and you should take care as the grass can be rather tall on the hillside. It’s also advisable to keep an eye on your car as Greens Road is busy and you do not want to give the impression that your vehicle is abandoned. WHERE Level 8, the roof of the Terminal D/E Garage. Entering the airport via either Will Clayton Parkway or JFK Boulevard, follow signs toward “Terminal D” and then “Parking.” Entry will be by way of a helix, which will take you to the second floor. Avoid the second floor valet section by turning immediately left to ascend another ramp. You will then find another helix (all are “One Way” only, either rising or descending) on the far side of the garage which will take you the rest of the way to the roof level. When you arrive at Level 8, the control tower will be visible to your east. 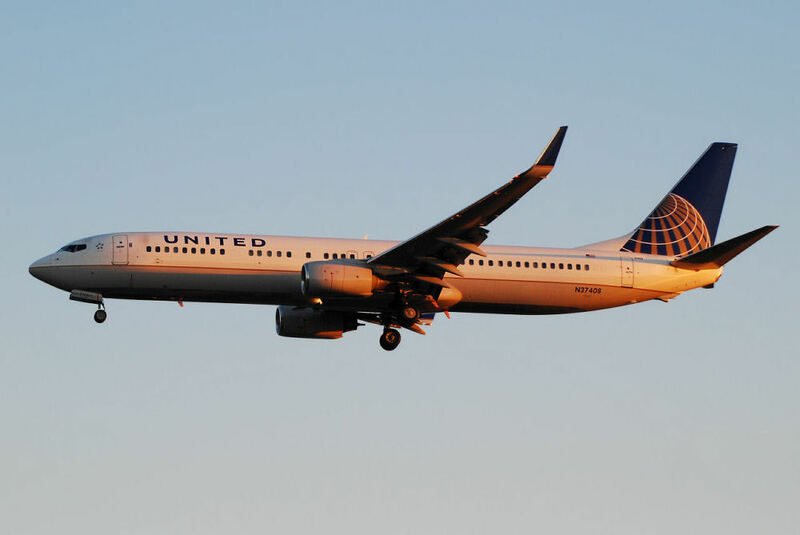 You can then orient yourself toward the north side, which has the International Terminal D gates, or the south side, where you will see United Airlines aircraft including widebodies parked at their Terminal E gates. There are elevators which take you down inside the nonsecure side of the terminal if desired. WHAT On “west flow” days, with some practice you can shoot northward between the various antenna masts to catch touchdowns on Runway 26L. 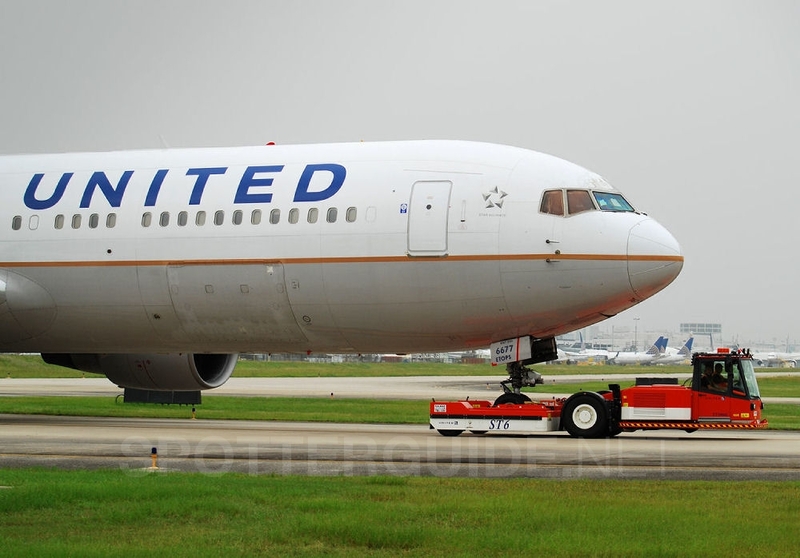 Aircraft will roll out in front of you down 26L, with limited obstructions. APU exhaust from planes parked at Terminal D gates may occasionally create haze in certain spots, but overall you have a nice view of Runway 8R-26L. Runway 8L-26R is 1,500 meters (5,000 ft.) further away, and therefore decent photos of those arrivals are impossible without a very long lens. Even for the closer runway, heat haze can be problematic. The roof of the Terminal D garage really becomes ideal after dark. 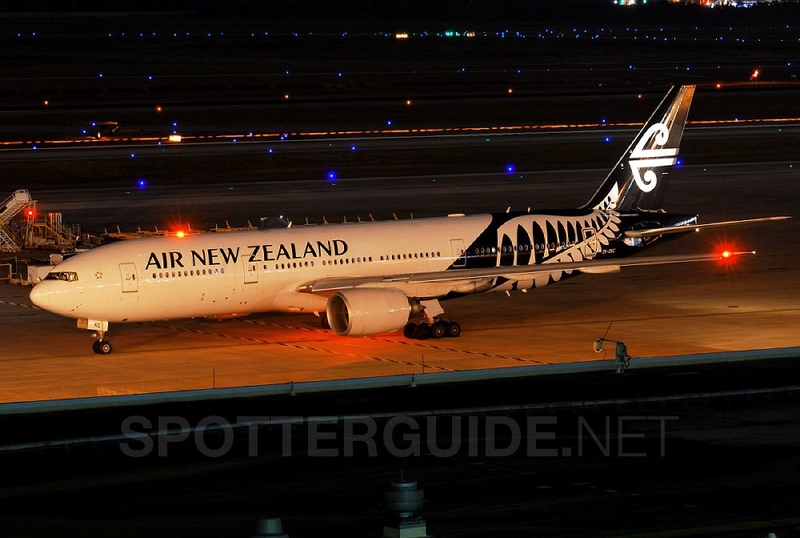 Depending on the quality of your tripod and the wind strength, night photos of the international widebodies are possible once they have been pushed back. Some parts of the terminal structure in front of you may block your view, so you will need to walk east or west along the north wall depending on where the tug stops the pushback. The lighting at night is from sodium vapor lamps with an orange hue. 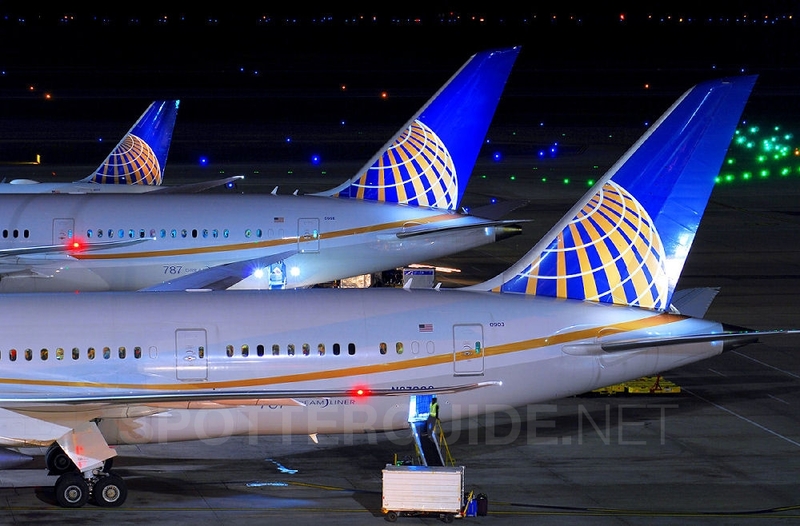 Moving to the south side of the roof, you will be able to photograph United aircraft parked at the more distant gates of Terminal E. United pushbacks are usually pulled forward to face away from the terminal, with their tail toward you. The ramp lighting here is whiter. From the south side of the terminal, you can also watch lineups on Runway 9 during “east flow.” These are too far away to photograph well without a very long lens. TIME Since Runway 8R-26L runs east-west, the view toward it from Terminal D features good light all day long. As described above, it is also a great location after dark. 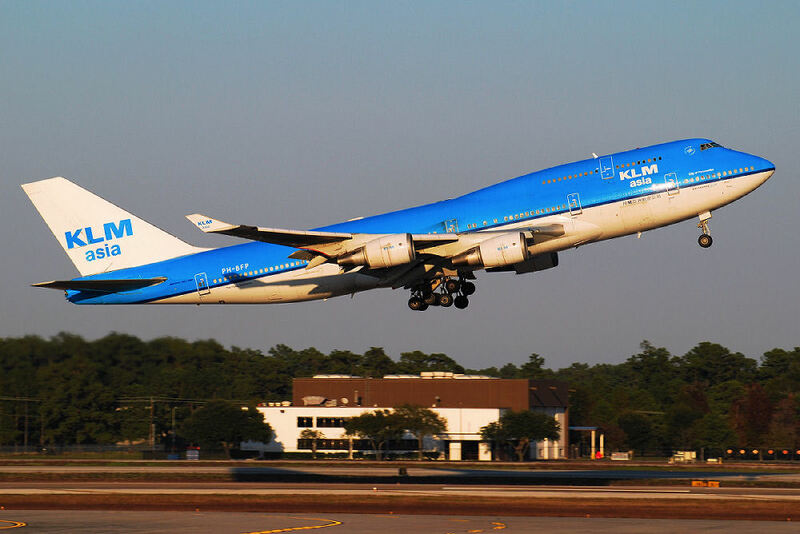 Use a tripod, or try your luck panning landing or taxiing aircraft. The roof level is quite peaceful and you are unlikely to be disturbed, particularly later at night. MISC. 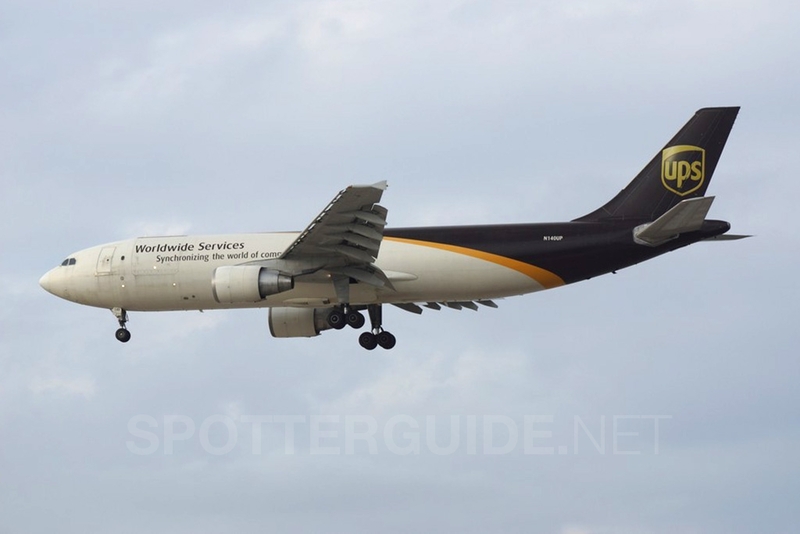 IT IS REQUIRED AND EXPECTED THAT SPOTTERS CALL AIRPORT OPERATIONS AT (281) 230-1300 BEFORE SPOTTING FROM THE GARAGES. Restroom facilities are available inside the terminal. There are also some limited food options in the terminal outside security. There is no shade, so dress accordingly, and no place to sit down. You may choose to sit inside your car, but you will not be able to see any ramp movements unless you drive a truck or SUV and park alongside the wall. WHERE Level 8, the roof of the Terminal A/B Garage. Entering the airport via either Will Clayton Parkway or JFK Boulevard, follow signs toward “Terminal A” or “Terminal B,” and then “Terminal A/B Parking.” Entry will be by way of a helix, which will take you all the way up to Level 8. When you arrive on the roof, you will see the original, vacant airport control tower at the west end of the building. You can then orient yourself toward the north side, where you will see Runway 8R-26L and Runway 8L-26R in the distance, or the south side, where you will notice some hangars on the far side of the ramp and the departure ends of Runway 15L and 15R in the distance. From the south side you can see the skyline of downtown Houston on the horizon. There are elevators which take you down inside the nonsecure side of the terminal if desired. WHAT On “east flow” days, the north side of the Terminal A/B garage provides a good vantage point for Runway 8R arrivals. Arrivals to Runway 8L are too far away to photograph without a long lens, but you can observe these as well. Heat haze is often a problem, but on ideal days you are able to make some excellent touchdown photos from Runway 8R. 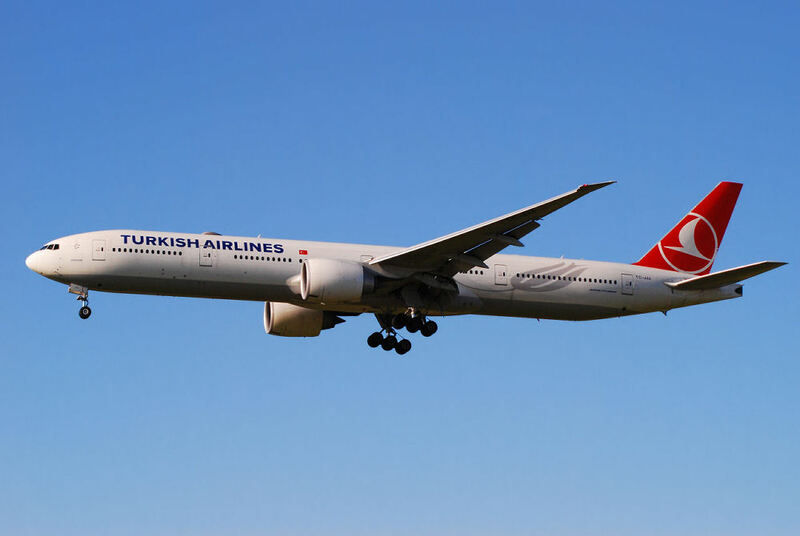 You will also observe and be able to photograph aircraft, including international widebodies, taxiing in front of you from the north concourses toward departure Runways 15L and 15R. 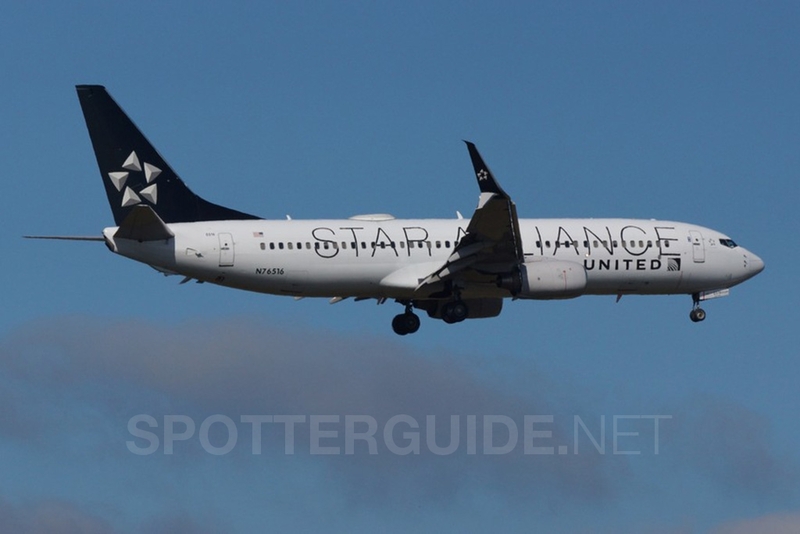 On the south side of the roof, you will see the Terminal B gates for United Express regional jets, and watch United Airlines aircraft taxi out to Runways 15L and 15R. TIME The view north from from Terminal A/B features good light all day long. You may also try some night pictures here using a tripod. WHERE Level 7 or 8, the top levels of the Terminal C Garage. Entering the airport via either Will Clayton Parkway or JFK Boulevard, follow signs toward “Terminal C,” and then “Terminal C Parking.” Entry will be by way of a helix, and you will need to choose whether you want to go to Level 7 (helix with odd-numbered floors) or Level 8 (helix with even-numbered floors). On Level 7, head to the northeastern corner of the parking deck, which extends out from beneath Level 8. From here you can see Runway 8R/26L, some north concourse C gates directly in front of you, and look east toward the international aircraft parked at the Terminal D gates. Level 8 allows you to move about more freely to observe in all directions. 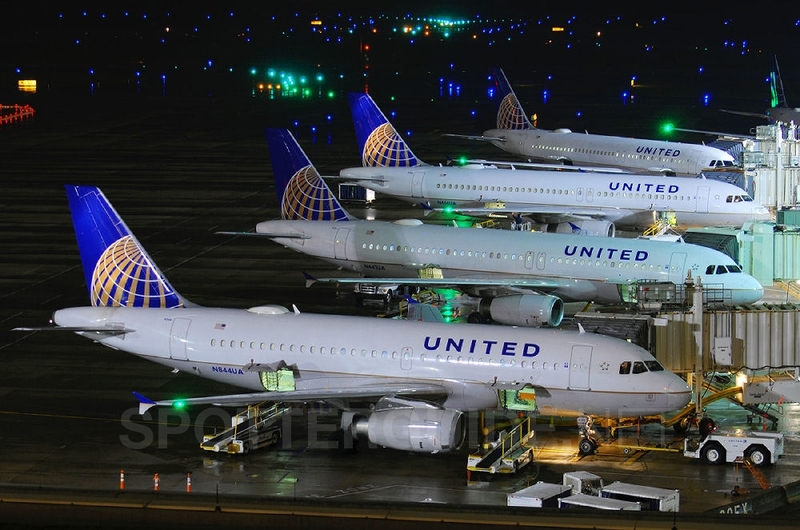 WHAT This is a good location for photographing United Airlines planes parked at C gates, as well as international widebody pushbacks from the more easterly Terminal D gates. 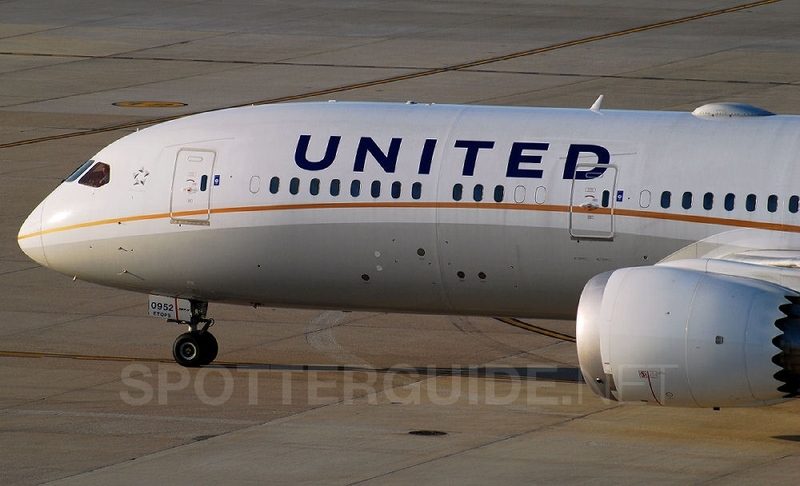 You will have an unobstructed view of that side of the concourse, without the APU exhaust that is sometimes an irritation when spotting from the Terminal D garage roof. 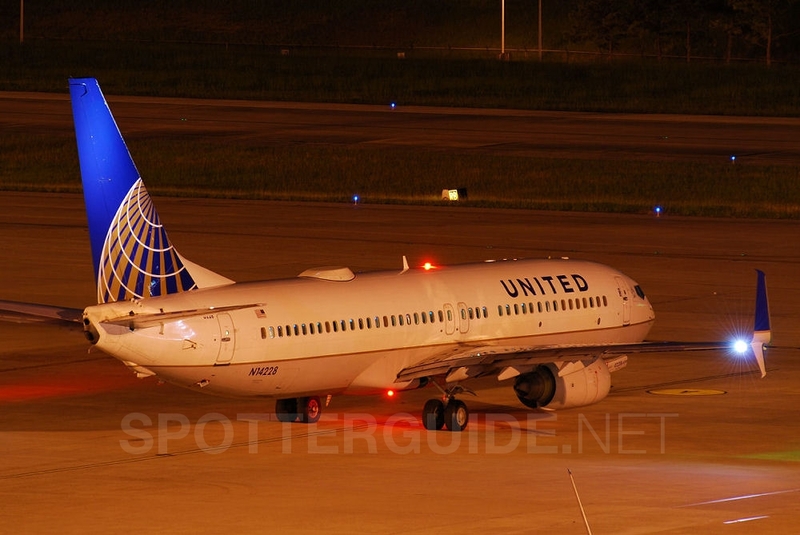 TIME Since mostly static aircraft are seen from this location, it lends itself to night photography with a tripod. However, you are predominantly facing north or northwest, so the light is good all day long. MISC. 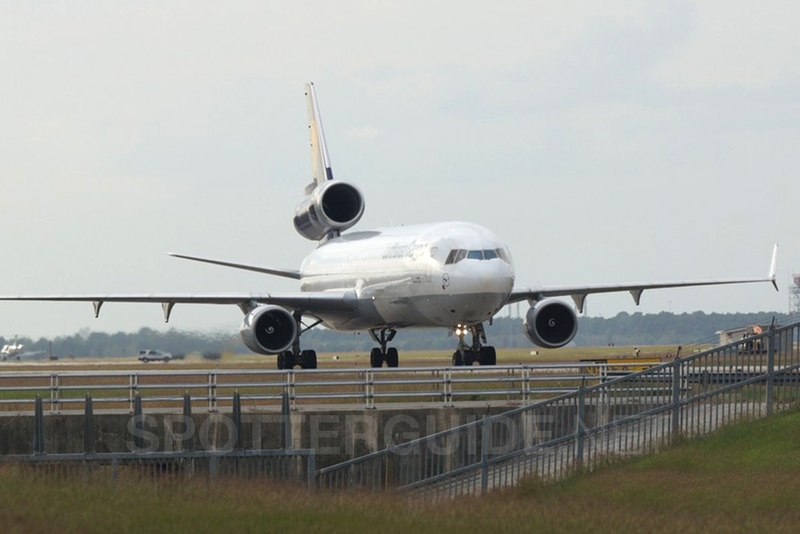 IT IS REQUIRED AND EXPECTED THAT SPOTTERS CALL AIRPORT OPERATIONS AT (281) 230-1300 BEFORE SPOTTING FROM THE GARAGES. Restroom facilities are available inside the terminal. There are also some limited food options in the terminal outside security. There is no shade, so dress accordingly, and no place to sit down. You may choose to sit inside your car, but then you will not be able to see any ramp movements. WHERE From Spot #1, take Lee Road north to Will Clayton Parkway, then turn right on Will Clayton and make the first u-turn to proceed west in the opposite direction, toward the airport terminals. After passing the Ramada Inn on the right, turn right at the next traffic light onto Lee Road northbound. Continue north for 0.3 mi. and make the second left, onto the street running directly to a crash gate. There is a small lay by where you can park and not block the gate. The spot is south of the DB Schenker USA Logistic. 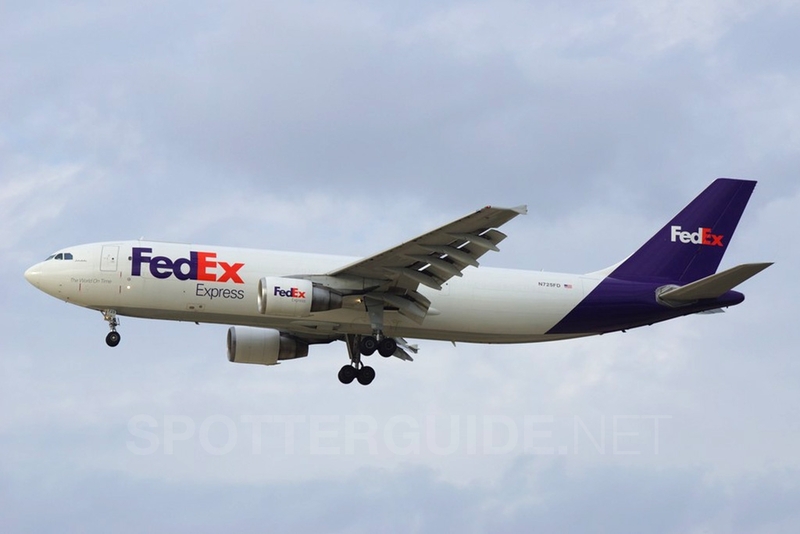 WHAT From this location, you can photograph arrivals to Runway 26L while they are in the air passing over the warehouse. 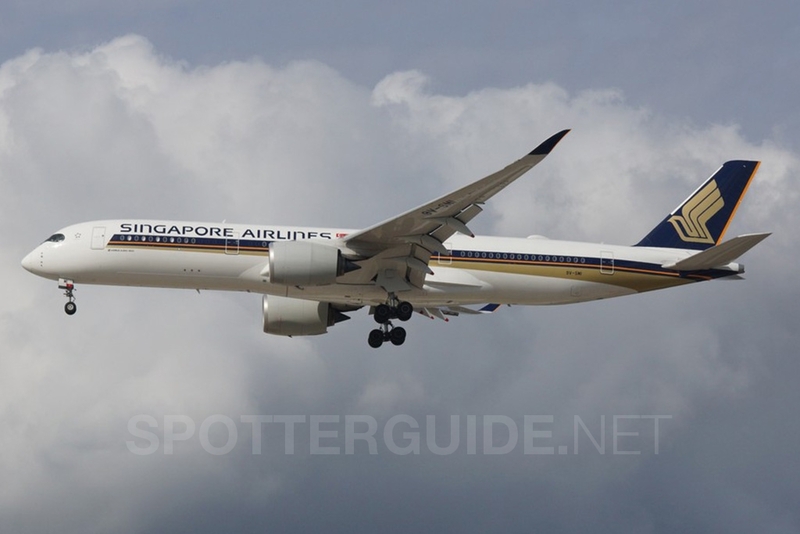 It provides a similar vantage point to Spot #1, but for 26L arrivals instead of 27 arrivals. All carriers may use this runway, including A380 arrivals. 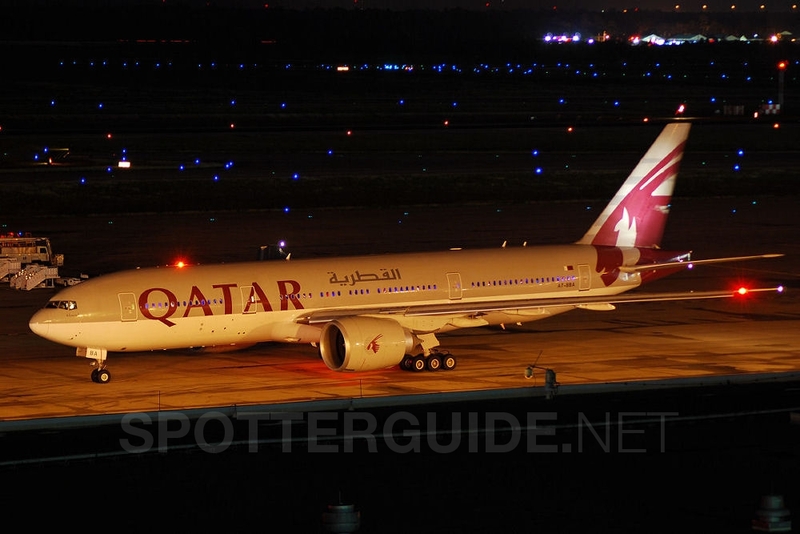 Air China and Qatar Airways in particular seem to prefer 8R-26L or 8L-26R. Taxiway photos are possible too through the mesh or above the lowered fence over the river. MISC. It should be fine to stay here as even the Homeland Security passed by and was not interested in what we are doing there. Food is available at the Burger King and Shell gas station east of here, along the westbound side of Will Clayton Parkway. You can also follow Lee Road 0.9 mi. further north to the intersection with FM-1960, along which you will find more fast food and chain restaurant choices. WHERE There are two opportunities for this kind of shots. Both are along the Aldine Westfield Rd next to the fuel tanks of the airport. The road can be reached from the south from the Hardy Toll Road/JFK Blvd. The soccer field is west of the road and you can reach it over a private way. The advantage is that you’ll be out of scope of the street but you get a worse angle. The alternative is at the Aldine Westfield Rd. 18715 you find no public parking spaces only some bulge or private property. Either you use the bulges or you ask the companies to park on their property on weekdays. WHAT From this location, you can photograph arrivals to Runway 08R while they are in the air passing over the warehouse. All carriers may use this runway, including A380 arrivals. 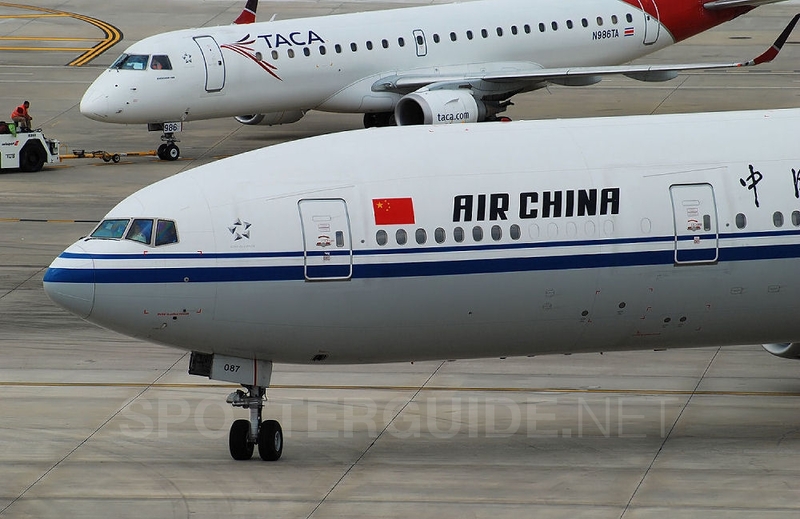 Air China and Qatar Airways in particular seem to prefer 8R-26L or 8L-26R. There is an excellent spot under the lights for arriving traffic on 8L at Farrell and Birnamwood. Only big enough for two cars and sometimes traffic can be sparse, but when it’s rush hour, you have some great views of plans coming in 50-100 feet over your head. You can also catch some unique circle to land approaches to 15LR.